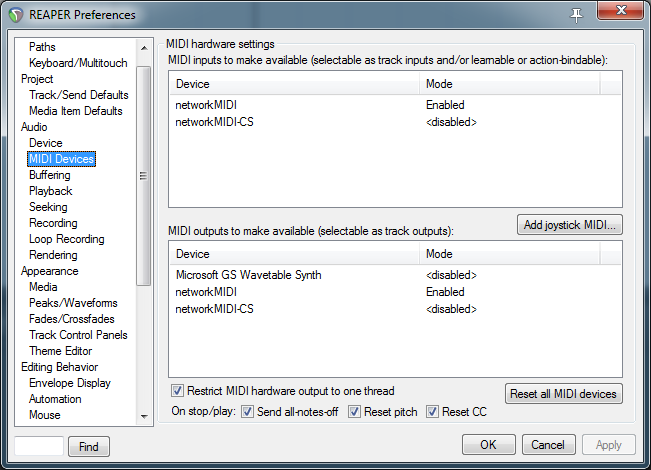 In Reaper if you enable a MIDI device it will not be available for use with a control surface. Next go to Options | Control Surfaces. Click the Add New button to add a new control surface definition. 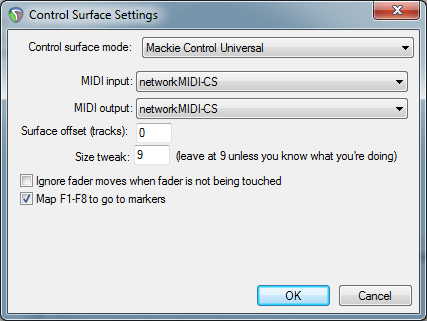 Select Mackie Control Universal as the control surface type. Select the rtpMIDI network MIDI device that was setup for the control surface as the in and out MIDI ports.